Before you start configuring your audience segments on your network cases, we strongly recommend you start off by configuring your network pixel. This type of pixel was created especially for the use of audiences on multiple advertisers within one company. All advertisers within your company will need to implement the network pixel on their websites, and then all will be able to cross-use each others audiences, for example, to exclude them from a campaign. All audience segments you would want to cross-use, would also need to be set up as network cases, only then can you use them in a campaign within the company (for more information on network cases, please check out this article). The main difference between a regular pixel and the network pixel is that the regular one can only be used for one single advertiser, and the network pixel can be used on multiple advertisers. To create a new network pixel, navigate to "Tools > Network Pixels" and press the green "+" button at the top right of your screen. Once you're there, start by selecting the pixel parameters you need, then add them to your network pixel and then finish off by generating that pixel and copying it for implementation on your website(s). Name: Insert the name of the network pixel. Company: Select the company for which the network pixel will be used. Then navigate to "Tracking Pixel" in the left navigation menu, to configure the pixel parameters. Here you can add all the parameters you need. There is a list of standard parameters available here. 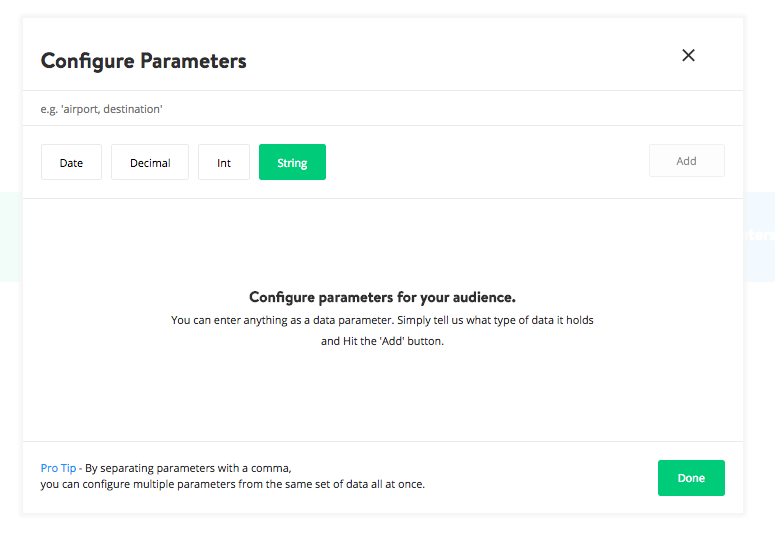 If the parameter that you need is not available as a standard parameter, it is also possible to manually add it as a custom parameter. Instructions on how to do this can be found here. If your website uses a cookie wall or consent form, it might give users the possibility to opt-out of being tracked. This can be done by either not loading the Yieldr Ads tag or by using the parameter cookies_allowed. The standard value is cookies_allowed=1. When a user explicitly doesn't give consent, you should set cookies_allowed=0. This opts the user out. Once you've configured your parameters hit the "Save" button or press "Get Tracking Pixel" directly. In the "Connect Audiences" section, you can find an overview of all network cases that have been created and attached to your network pixel. If you haven't created any network cases yet, that will be your next step.